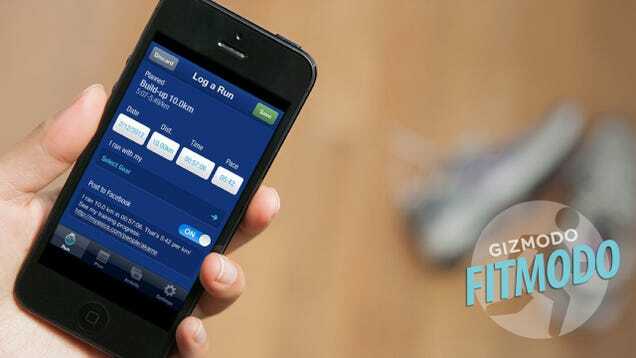 This week’s app spotlight is my favorite fitness app–the ASICS’ Adaptive Running App. This app is one of my personal favorites because as a runner, sometimes it’s tough to stay motivated from race to race. But, I’ve found that the ASICS app is great for helping me to set goals and stay on top of them. If you’re looking for guidance in creating a running plan, there aren’t a whole lot of ways you can go. You could cut something out of a magazine, you could use a stock program that comes with an app, or you could pay serious coin for a personal trainer. ASICS thinks it’s got a better way. The new MY ASICS app features adaptive training plans. You’re not just choosing from one of a dozen pre-set workouts, the system works through a series of algorithms and it evolves as you go. When you create a plan it asks you “What can you currently run?” (e.g. a 5K), then how long it takes you to run that distance. It then asks your age, gender, and which distance you want to train for. You can choose from five miles up to a full marathon. It asks you when your event is and what your goal time is. You can fill these out or leave them blank if you aren’t trying for a race or don’t have a specific goal. It then makes up a plan for you, which you can see in full detail on a calendar. Once you start in on a plan, you start logging runs like you would with any other running app, but the focus isn’t on tracking as much as it is on training. Throughout your working you’ll be guided to stay on a certain pace. Theoretically, if you follow the plan, you’ll make it to your race and hit your goal time. That’s a bold claim, but ASICS actually has a lot to back that up. ASICS (which—fun fact—is actually an acronym for the Latin phrase anima sana in corpore sano which roughly translates to “a sound mind in a sound body.” Who knew?) spent seven years researching performance with a specific focus on training plans. They used that knowledge to creat plans for MY ASICS, which has been around for a while, online and in apps, just not in this adaptive form. The program has amassed 400,000 users and they have logged over 5,000,000, which they are constantly re-analyzing. They claim 78-percent of runners who follow their plan achieve their goal, and that 91-percent of marathoners improve their time. Impressive numbers. ASICS’ program structures your training to build up your anaerobic threshold. This typically translates to running at a faster pace but for fewer miles, and with more rest in between runs. It claims that this reduces the risk of injury. The adaptive part comes in as you go. If it sees you falling behind in your workouts (or not being able to keep up with the pace) it’ll ask you to if you want to ease back. You say yes or no, and it will change accordingly. Conversely if it sees you crushing it, it’ll ask if you want to go harder. As you progress it will adjust your predicted race time. What’s your favorite fitness app? Tell us in the comments section below!